AT THE eleventh hour the plans for the influx of new housing for Milton Keyes have been dropped. These plans included homes near the Grand Union Canal together with a 111 berths marina, coupled to the development by an expensive three pronged bridge, but all seems now in jeopardy as this and other developments were dropped from the budget at the eleventh hour. Iain Stewart and Mark Lancaster, the MPs for Milton Keynes, opposed proposals for new homes on the outskirts of the town, over fears that an influx of residents could clog up its roads and overburden the local hospital. Mark Lancaster stated though he was in favour of more houses, but the ultimate number near 1,000 were too many for the town's current facilities. 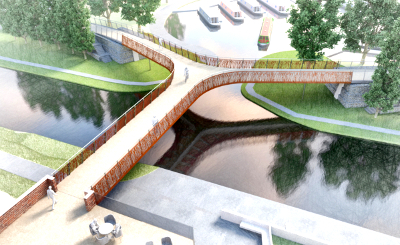 The plans that had been agreed included the construction of a marina at one of the developments by the Grand Union Canal with a three pronged footbridge stated as costing £35 millions spanning the waterway, (New marina for Milton Keynes) but this too is now in jeopardy.